"320 acres of picturesque fertile farmland can be subdivided or used as a working farm some orchard some Woodland plus tillable land two houses one a remodel farmhouse and plus a smaller tent house frontage on middle Road and Spring Dale Road behind orchard view elementary school 4 tax map parcels.74-A-4, 74-A-4A, 74-A-4C, and 62-A-38"
"Every detail of this home is exquisite and precisely refined from the magnificently landscaped 5 acre lot to the spacious main floor master featuring a marble bath tub, double vanities and a large walk-in closet. 5 bedrooms each with their own bath. The gourmet kitchen provides top of the line stainless steal appliances and walk-in pantry. The finished basement features a media room, kitchenette, full bath, and storage. Relax on the terrace by the salt water cocktail pool and serve lunch in the luxurious pool house. Ample parking w/ a 3 car garage and a separate 2 car garage. The guest house offers 3 bedrooms, 2 bathrooms, a full kitchen, laundry, and its own garage." "Masterful design & modern luxury are embodied in this one-of-a-kind Contemporary Craftsman home. The secluded lot borders 10 wooded acres, yet a few blocks walk to Old Town. Highlights of this amazing property are Chef's Kitchen with Z-Island, Serene Owners Suite and Sauna, Media Room, Slate Walls, Cedar Porch with Mexican Tile, a large game room with Red Quartz Bar and stunning Mosiac tile. Your DREAM home awaits Tap 1st virtual tour for FLOOR PLANS and PHOTOS"
"POOL OPEN & NEW LANDSCAPING! READY FOR SUMMERTIME ENTERTAINING OR A RELAXING DAY IN THE SUN! Gorgeous and Convenient to Winchester! 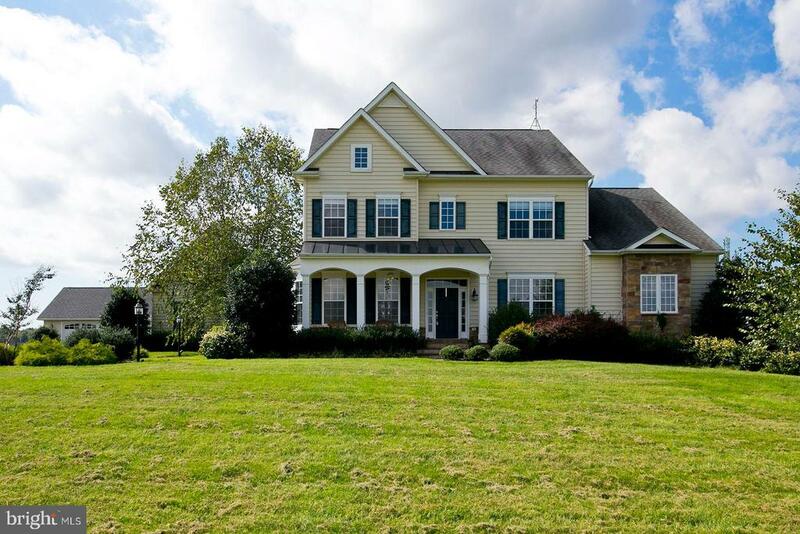 5 Bedroom (main floor bedroom w/full bath) 5.5 Bath Colonial located on 5 acres! Mountain views from the full front porch! This property is great for entertaining inside and out! Beautiful kitchen features 2 dishwashers and 36 refrigerator & freezer, center island, table space, granite countertops & butler's pantry and formal dining room. Lovely living room w/coffered ceiling and stone fireplace, large office on main floor w/glass doors and exterior door to the side porch. Master bedroom w/huge walk in closet and gorgeous luxury master bath features over-sized tiled shower and free standing soaking tub. All bedrooms are en-suites and have walk in closets, bonus room great for a craft room or play room. Finished basement that leads to the swimming pool/entertaining area features a media room/theatre, family room, home gym area and full bath. Heated 3 car over-sized side load garage. Full rear deck overlooks the lovely heated in-ground salt water swimming pool and entertainment area which features brick pavers, built in fire pit and privacy." "This spacious contemporary with almost 6000 sq ft of living space hosted Apple Blossom Events. Three large bedrooms each with private bath, plus a walk out basement apartment with private entrance. Open kitchen with skylights. Kitchen flows out to the large front deck for entertaining. Large living and dining room with a wood burning fireplace. Glass sunroom with HVAC for those spring and summer days. Private downstairs apartment has full bathroom, kitchen, and laundry. For possible additional income. Property sits on 5 acres (Agricultural Zoned) with additional revenue from Farmers Market (3200 sq. ft.) under a conditional use permit. The market has a half bath,30x60 kitchen and retail space. Run in barn (28X30)could be converted to stables for a horse or farm equipment shed. The shed has running water. For those adventurers there is a hook up on property for an RV. Beautiful Garden in the private backyard. Offering a quiet retreat hard to find so close to town." 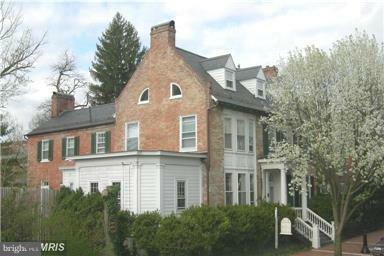 "Historic property in Old Town Winchester, completely renovated, ZONED COMMERCIAL, new electric and much more. Beautiful detail throughout. FRESHLY PAINTED IN AND OUT. CAC 3 zones, 7 heat zones. 2 story windows in foyer, private off street parking, Butlers Pantry .English terrace, 60+ boxwoods, brick, slate roof, double porches, elegant staircase, 8 fireplaces, Currently upscale B&B, R.E. 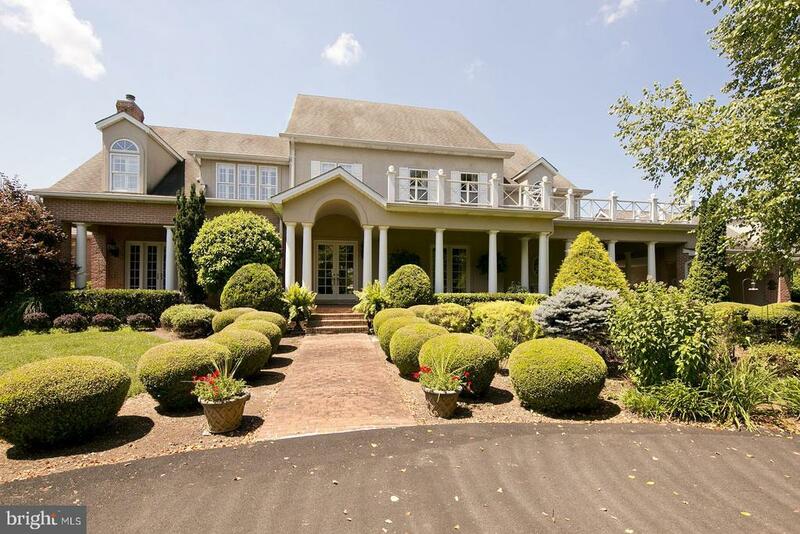 Only"
"Gorgeous Country Estate on 10.5 Acres. Less than 8Miles away from Winchester Medical Center! Prepare to fall in love with the gourmet kitchen, two main level master suites and generous upscale finishes throughout. The neutral and modern color scheme makes this house a genuine pleasure to call home. 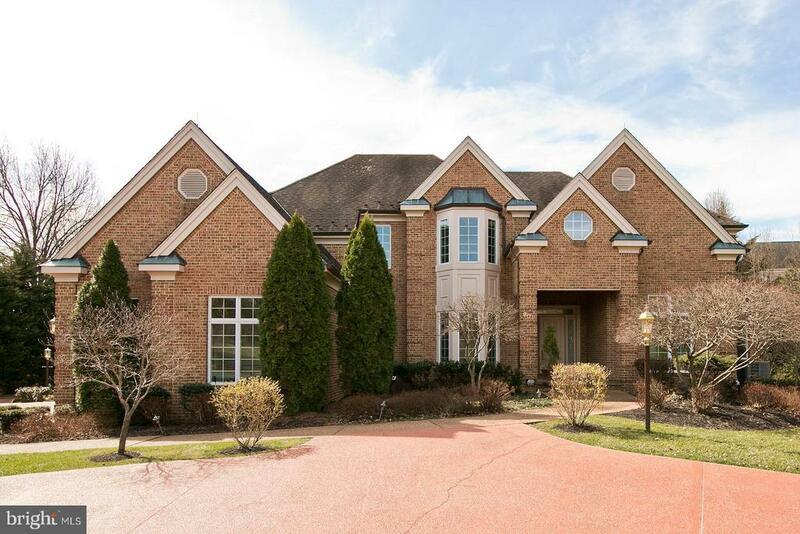 This meticulously kept brick colonial features plenty of room for all your entertaining needs. Enjoy year-round fitness and fun in the indoor heated saltwater pool. Custom mature landscaping offers plenty of curb appeal, and is the frosting on the cake! Property has Comcast! Set up your private tour today! No HOA!" "Gorgeous all brick colonial on a 1.3 acre lot in the center of the city. This home features a main floor master, gourmet kitchen, finished basement w/ a kitchen & bedrooms, and a fantastic brick patio that looks over a private backyard. Exceptional quality of construction. Close to shopping, schools, and Valley Health." "Handsome, Contemporary Craftsman Home, architecturally remastered and refurbished with custom limed, quartersawn oak cabinetry and walnut stained wood floors. Nestled into a private community of large, wooded lots overlooking 34 acre Lake Serene, this home was designed for entertaining with a Viking, chef quality kitchen and a Master extended into the treetops, sheltering an outdoor living room." "Tranquil views with peaceful pond compliment this 12 acre property. 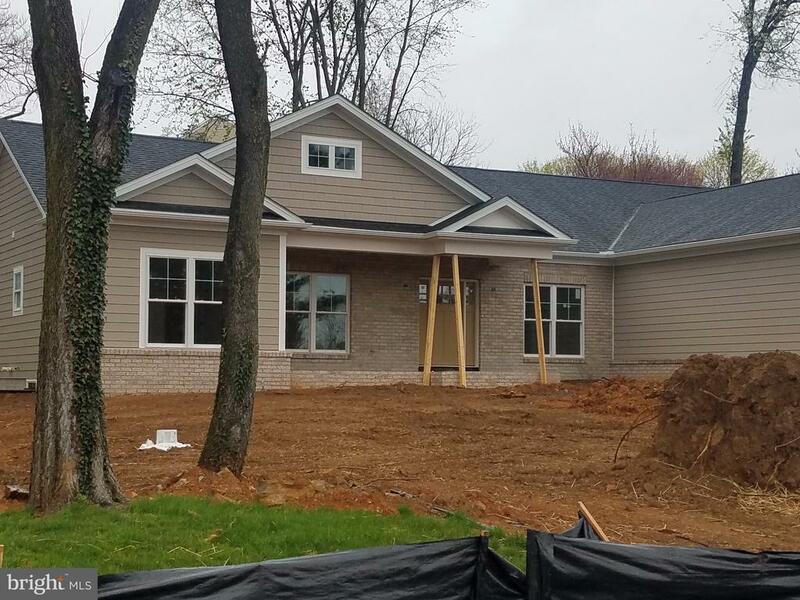 Home is over 6,000 finished sq ft including theatre room, office, gourmet kitchen, coffered ceiling in family room, huge master suite and fully finished basement. Home also includes a 2 car detached garage or workshop and a 2 car attached garage. Elegant country living at its best." 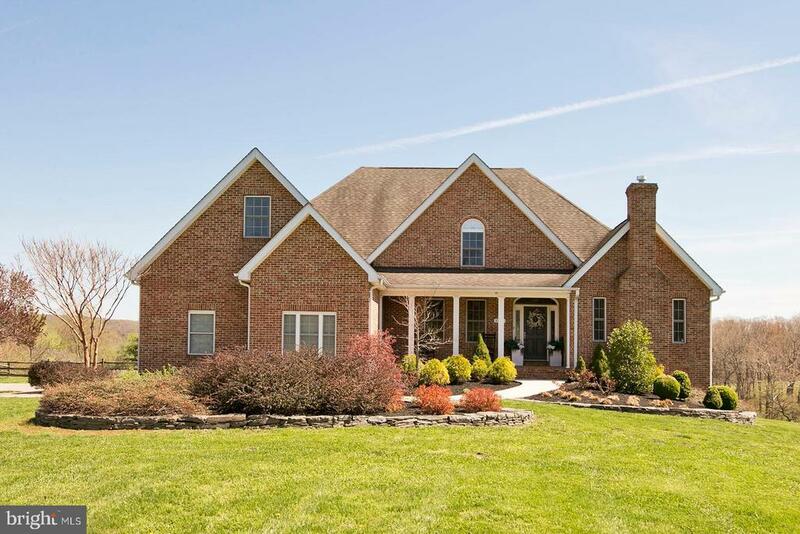 "Fabulous country estate situated on 13+ acres conveniently located on the east side of Winchester. This home boasts 10 foot ceilings on main floor. The first floor master suite includes a luxurious master bathroom. The gourmet kitchen includes a copper sink, gorgeous countertops and a commercial grade Lacanche French gas range. The heated pool is accompanied by a heated and cooled poolhouse with a fully equipped kitchen and bath. The second level offers an additional sitting room and huge family room!" 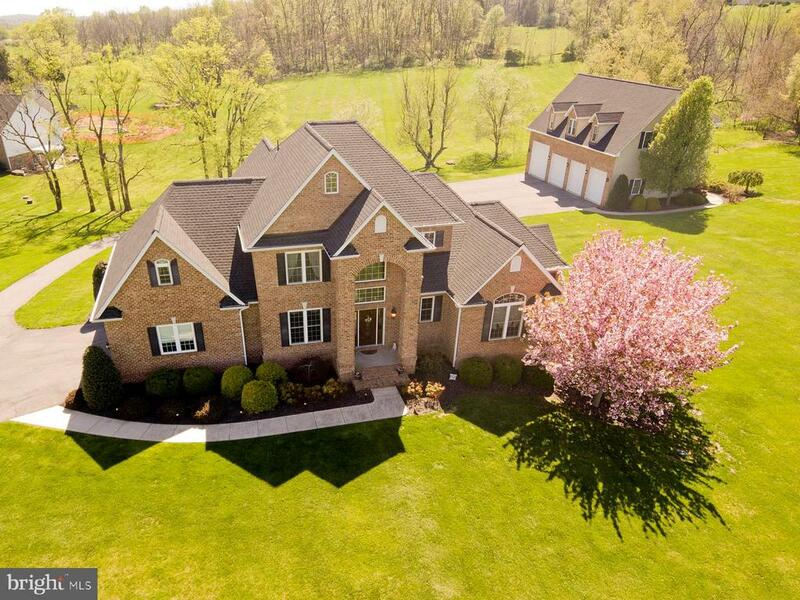 "THIS PRISTINE 5000 SQ FT ALL BRICK CUSTOM HOME IN PRESTIGIOUS GRANVILLE ESTATES WILL WOW YOU! 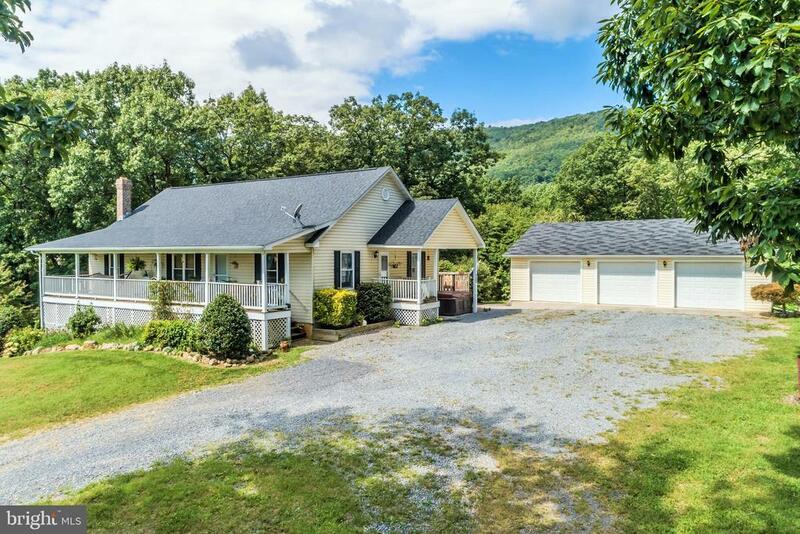 Just 7 miles from town and in rural and sought after neighborhood, this beauty consists of a main floor master plus 2nd bedroom/office on main floor. Gourmet kitchen includes granite, stainless steel appliances, kitchen bar and breakfast nook, as well as 2 pantries! Grand 2 story foyer and great room with built in cabinetry and fireplace. Hardwood floors throughout main and upstairs levels. Separate dining room has crown and chair railing. Master en suite features a tray ceiling, double walk in closets, well appointed bath with double vanities, air jetted tub and tiled walk in shower. Upstairs has 2 additional bedrooms and a huge bonus room with vaulted ceilings. 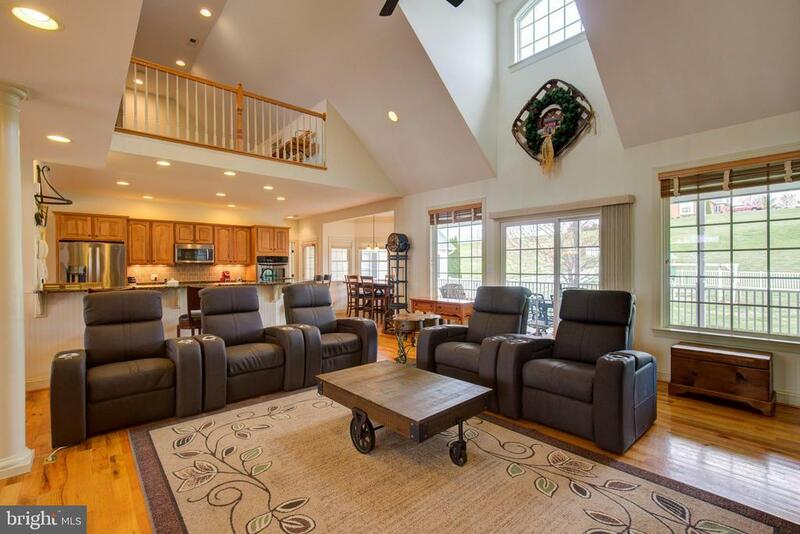 Fully finished basement has family room, game area, granite bar for entertaining! 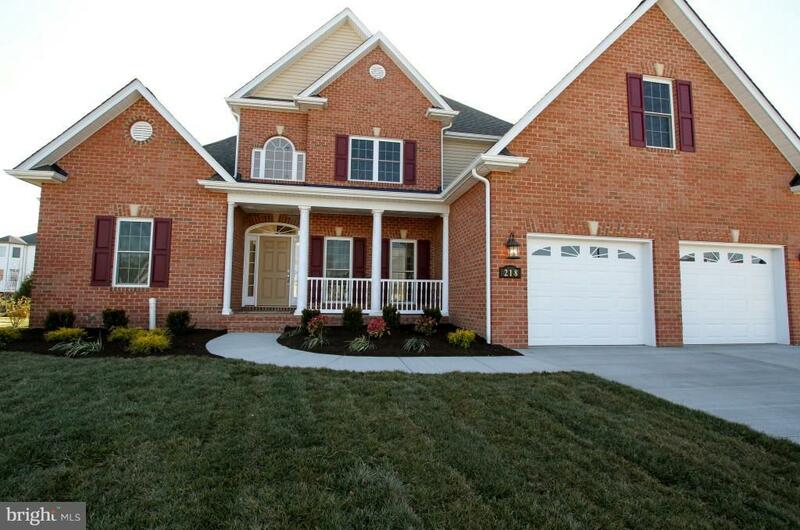 DON'T MISS THE DETACHED 4 CAR GARAGE WITH SEPARATE GUEST QUARTERS! This space consists of huge gourmet kitchen and great room combo, 23 x 21 ft master suite with tiled shower and separate air jetted tub, laundry room, built ins and deck. The 4 car detached garage has 4 bays including a 12 ft garage door, and three 10 ft doors. YOU MUST SEE THIS CUSTOM HOME!" 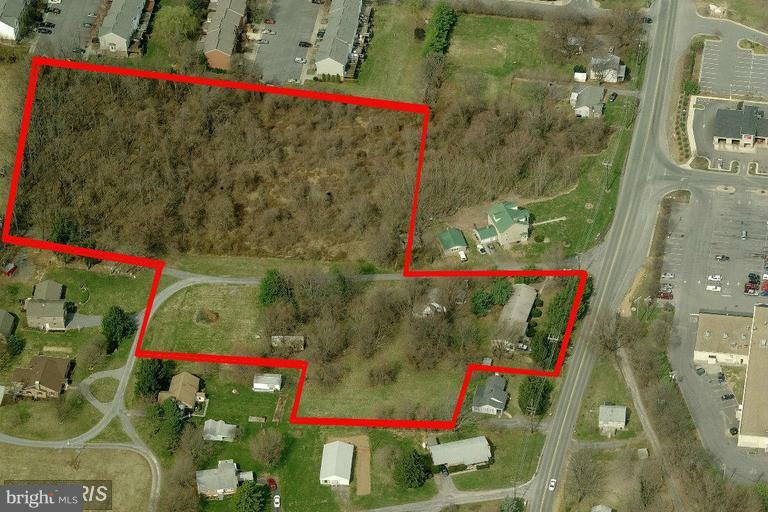 "4.67 Acres zoned RP with potential conversion for Mixed Use. Frontage on Fox Drive close to Winchester Medical Center. Adjacent to Sunnyside Plaza Shopping Center and Fox Ridge Townhouse Community. 809-811 Fox Dr. is a brick duplex currently leased on the property. The balance of the 4.6 acres on Fox Dr. and Redoubt Lane is clear. Call for Plat and more info." "TO BE BUILT! REDUCED!!! Stunning master on the first floor home, 2 additional bedrooms, 2.5 Baths. Plan offers ability to add 4th BR/bonus room as well as expand to private bathroom for each BR. Optional sunroom. Main level laundry off kitchen. Full unfinished basement, 2 car attached garage, 3 bay detached garage w/2 story workshop/barn, fenced pasture land,all on 6+ acres w/pastoral views!" "New Home in Sought After Roscommon Subddivision! Amazing Home with Many Upgrades throughout - From the Moment that you walk in it Feel like home. Gourmet kitchen with Upgraded Cabinetry, Granite, Stainless Appliances, Under cabinetry lighting, Gas Stove with telescopic downdraft fan are just a few of the upgrades and features. TheDen/Dining are off from the Kitchen will be great for Entertaining along with the Spacious Family Room with floor to Ceiling windows. Large Dining Room, Formal Area(s) or a place for your piano whatever you choose and an Office too all on the Main Floor. The Owner's Suite has a Spacious walk in Closet, Setting/Reading room and Spa like Owner's Bathroom. Bedroom Two has it's own Private Bath and Bedroom 3 & 4 are joined by a Jack and Jill Bath. Laundry room upstairs for convenience. All of this on a 2+ Acre lot that is minutes to the Winchester Medical Center, Historic Downtown Winchester, Shopping and Schools." "Heaven in the Hills. A decor sensation! Je ne sais quoi...we can't describe how exquisite this property truly is. A must visit. Immaculate landscaping, mountain vistas, enormous gourmet kitchen, captivating finished basement, and all these features in 6000+ sqft. 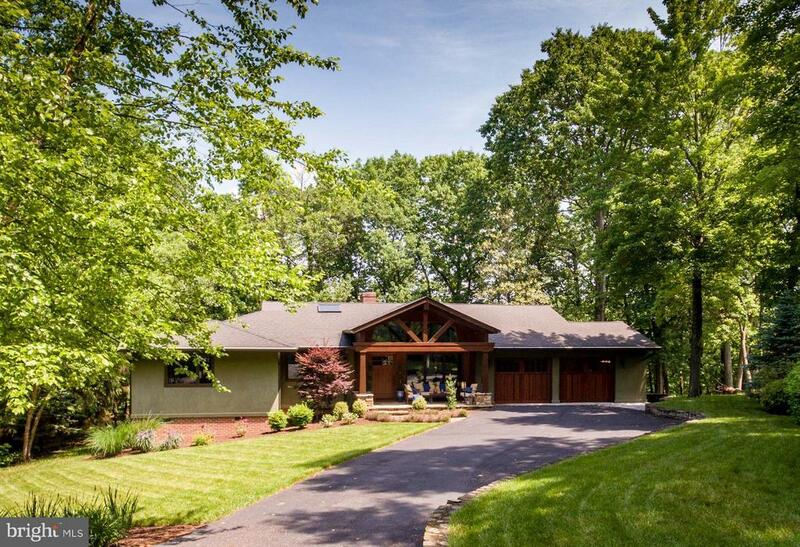 Each floor of this stunning home is meticulous from hardwood floors to carpeted bedrooms." "Bring your horses and move right in at Rock Ridge Farm, 49.05 acres with 20 board fenced acres and a beautiful mountain view. Gorgeous custom ranch style home, 2720 finished square feet, original owner, with 3 bedrooms and 2 full baths on the main level and a full bath on the lower level. Open floor plan with oak hardwood floors and ceramic tile floors, solid pine 6 panel doors. Fully finished lower level, recreation room with huge wet bar, great for entertaining, additional rooms for exercise room, game room, craft room or home office, you choose. Wood stove in basement connected to ductwork for a warm winter. Ceiling fans in every room. Bose surround sound in recreation room. Covered front porch with ceiling fans, outdoor fire pit and BBQ area, hot tub, deck with propane grill. Underground electric. Detached 3-car garage, 3-stall horse barn with tack room, feed room, tool room. Pole/Machine shed and side pen, fruit trees. 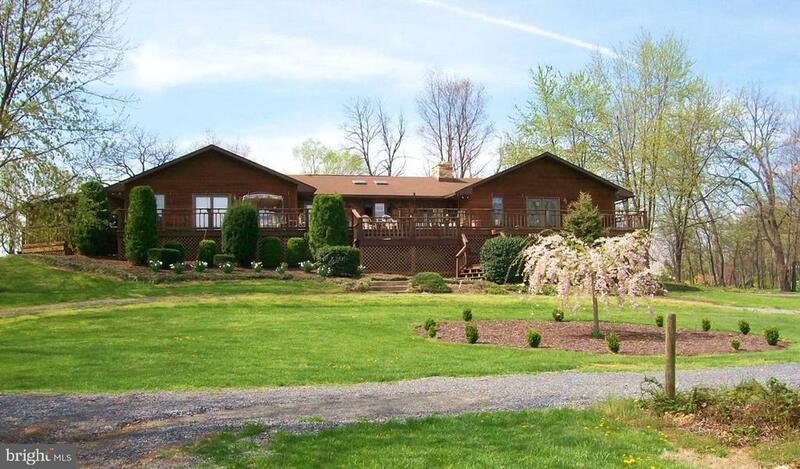 4 ponds, wooded trails for ATV, nature hiking, horseback riding. Land Use 48.05 acres. 3-car detached garage with full house generator. Call for more information. A great place to call home! 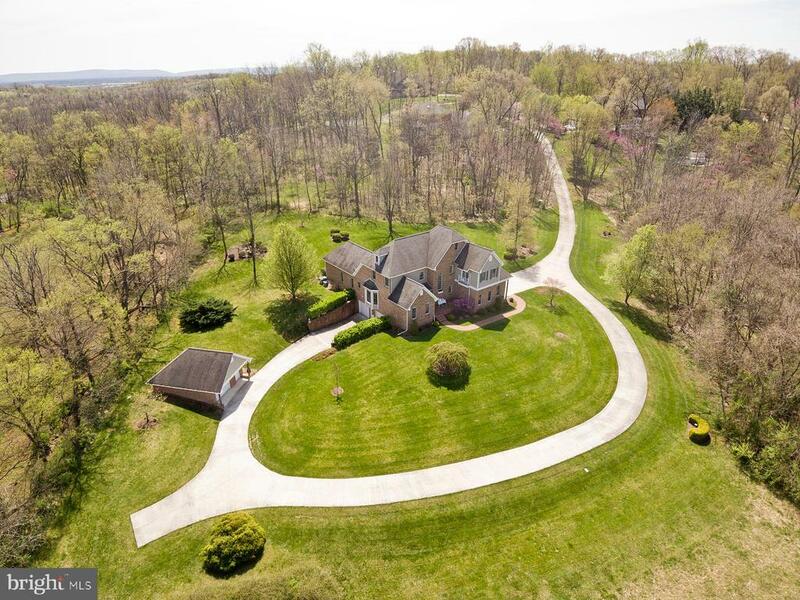 Winchester, Frederick County, VA"
"Location, Location, Location and this one is beautifully located. Close to Winchester, Medical Center, Shopping and Interstate. Beautifully maintained 4 bedroom Brick home with small portions of concrete siding on 4+ acres beautifully landscaped . Ash and cherry floors on main level, oak floors upstairs. Central vacuum. Master bedroom on main floor. Gourmet kitchen with pantry, corian counters, cherry cabinets, island, hardwood floors. Ash, Cherry & Oak flooring through out. Laundry on main level with cabinets and utility tub. Master bath with cherry cabinets and corian counters. Concrete driveway, covered deck with composite Timber-Tech decking 12x50 with gas hook up for grill, irrigation system, lots of well lit landscaping including weeping cherry tree. Two attached garages and two detached garages. Side garage insulated, basement garage insulated and heated with laundry tub. Two attached garages have electricity. 16x30 Boat garage is also insulated. No easement for driveway, seller owns. Compressor approx. 2010, water heater 2004, dishwasher 2010, microwave 2018. One year HMS Warranty $449 conveys." "REDUCED AGAIN!! Sellers motivated!!! 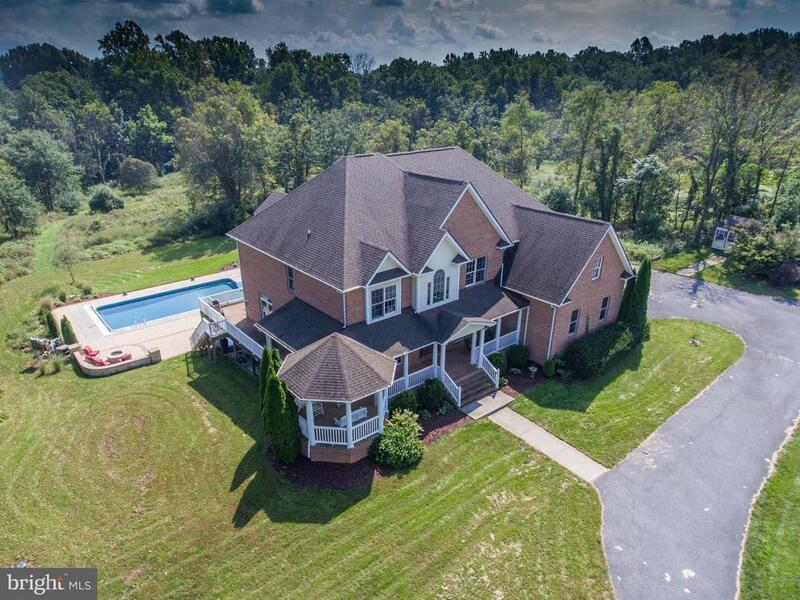 Stunning, custom built 4 BR home. Pampering master suite w/ his & her walk in closets. Open floor plan, finished basement w/ kitchenette & media room, hardwoods, front & back covered porches & fenced in back yard. TWO garages, and 2 story workshop! Perfect location off of Cedar Creek Grade, close to local wineries and farmers markets! Check out the video!!!!" 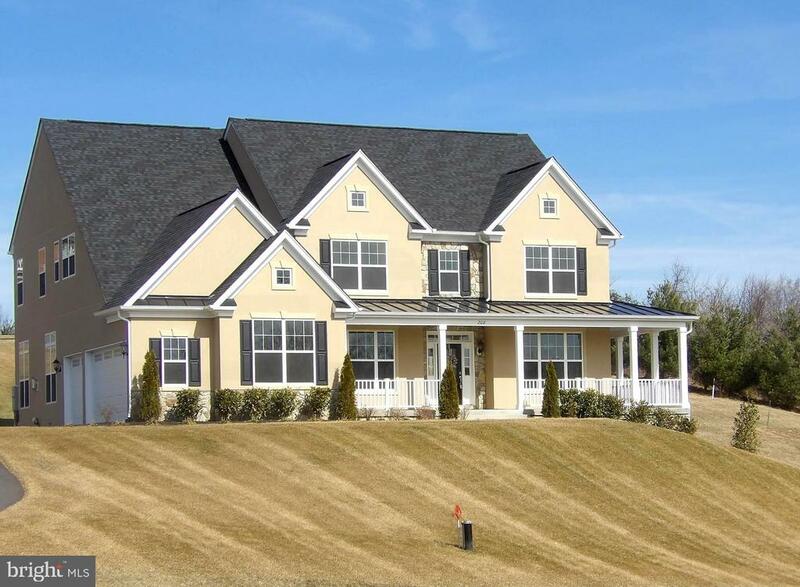 "Gorgeous home to be Built by Foreman Builders in Jackson's Retreat! MAIN FLOOR MASTER. 2-story family room w/ fireplace, open floor plan, sep dining room, quartz countertops, real hardwood floors on main w/ tile bathrooms, trey & cathedral ceilings. Whirlpool stainless appliances included! 2-year builder warranty Price subject to change w/ selections made. ForemanBuilders website-other floor plans"
"Check out the video tour!! What a BEAUTY! Move in ready brick colonial located in the heart of Winchester! 1 block from the walking mall!! 4 beautifully finished levels. 2 master suites!! New landscaping & many upgraded features. Separate side entrance leads to finished basement w/ 1/2 bath & office! Fantastic fenced in back yard & huge carport allows for plenty of parking. Big covered front porch for Apple Blossom party!" "Quality built by Joseph Mohr Construction. 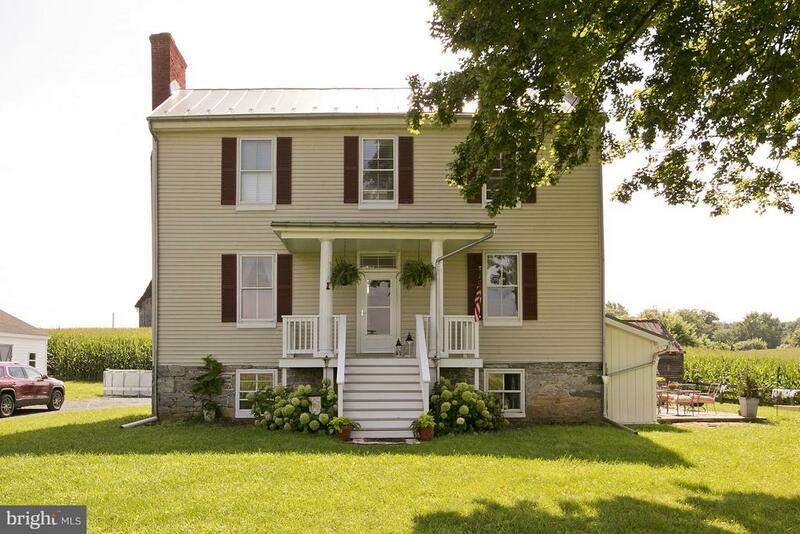 Walking distance to the Museum of the Shenandoah Valley & Valley Health. 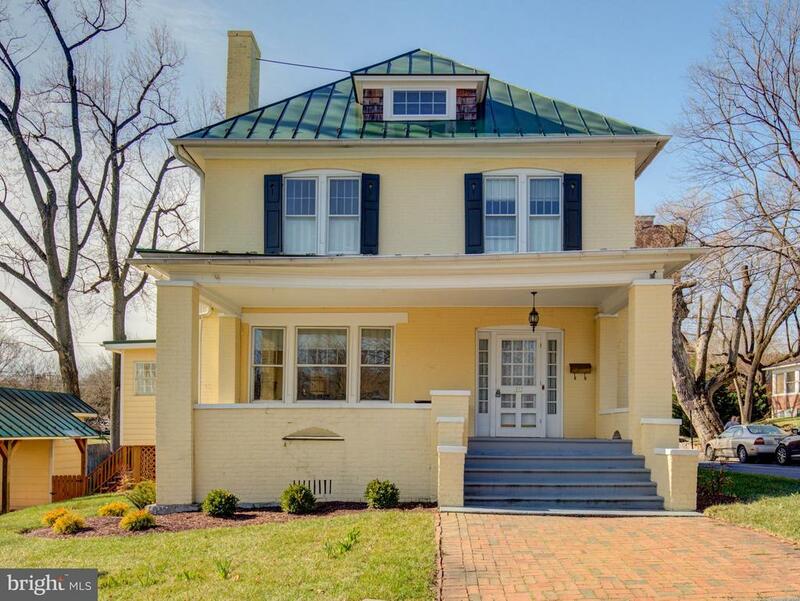 One story living at its best, 3 car garage, basement, covered porch with gracious backyard. This low maintenance home also has 10 foot ceilings, gourmet kitchen, and tons of storage. Owner/Agent"
"listing includes two adjacent parcels:1st having 64.52 acres w 2 sty home of 17-1800 sq ft sold 'as is ,where is in need of remodeling w septic & well. 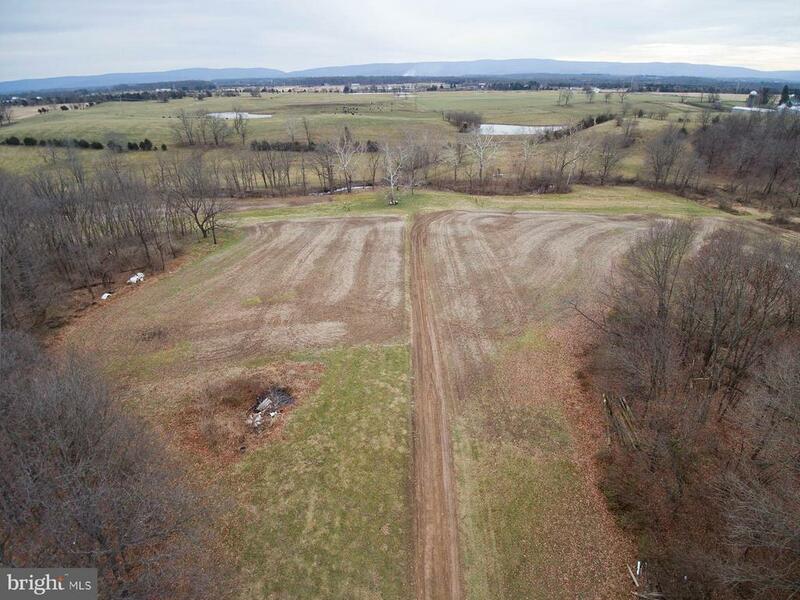 & pond - 2nd is 35+ acres of raw land zoned RA -Has septic Certification letters for other home sites-Cattle on property therefore appt is needed -Sold in the Gross & not by the acre.mostly open grazing land. Close all gates."